Now get FREE Printer Cleaning Service with any Part Replacement! When it comes to HP Designjet printer repair and service, you can simply rely on us. 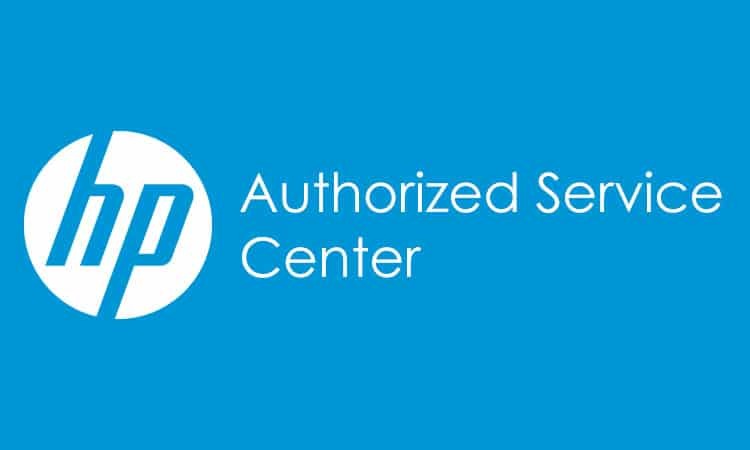 We are HP certified re-seller of HP printer and Designjet Printers and have access to one of the largest inventory of Designjet products including replacement belts, Printheads, HP Ink Tube Systems, Plotter Toners, Carriage Motors, Carriage Belt, Encoder Strip, Service Station and many other plotter parts. All this on same day shipment with peace of mind. So, if you have any issues with your HP Designjet, simply give us a call and we can send our certified tech to service the machine on the same day. We are your best source for wide format printer and plotter printer repair in the GTA. We service all major HP Designjet printers including the popular HP DesignJet large-format printers, Epson Stylus Pro, Canon imagePROGRAF, Lexmark X862dte 3 – multifunction ( printer / copier / scanner ) and many other plotter printers. Get same-day HP DesignJet Plotter Repair Services in Toronto, Mississauga, Brampton, Concord and many other cities in GTA. 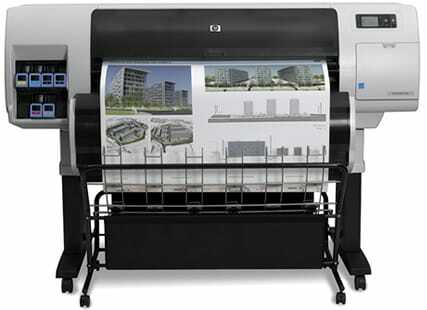 We service all popular makes and models of HP DesignJet Printer Models. Some of the most popular HP plotters that we repair includes: HP DesignJet 500, HP DesignJet 500ps, HP DesignJet 800, HP DesignJet 800ps, HP DesignJet 5000, HP DesignJet 5500, HP DesignJet T1100, 2800CP 36″ Wide Format Designjet Color Printer, 1050C+ 36″ Wide Format Designjet Color Printer, 350C HP 36″ Wide Format Designjet Color Printer, 1055CM 36″ Wide Format Designjet Color Printer, 455CA HP 36″ Wide Format Designjet Color Printer, 755CM HP 36″ Wide Format Designjet Color Printer, 3800CP 54″ Wide Format Designjet Color Printer, HP DESIGNJET 100 PRINTER, HP DESIGNJET 1050C PRINTER, HP DESIGNJET 1050C, 1055CM Large Format, HP DESIGNJET 130NR PRINTER, HP DESIGNJET 3500CP PRINTER, HP DESIGNJET 4000PS PRINTER, HP DESIGNJET 5500PS PRINTER, HP DESIGNJET 70 PRINTER, DESIGNJET 700, 750C, 750CT, 755CM, HP DESIGNJET 800 PRINTER and many other wide-format printer models. Our expert printer technicians are well versed with latest printing solutions and highly experienced in servicing wide-format/plotter printers of most popular models. We have access to some of the biggest suppliers for Plotter parts, so part replacement is never a problem. One of the most common problem in HP plotter printers is the belt replacement and we have access to OEM replacement kits for all popular HP Designjet Plotter printers. PrinterRepairGTA offers small and large business corporations with on-site and same-day plotter printer repair service support. Contact us for professional plotter repair service on-site. 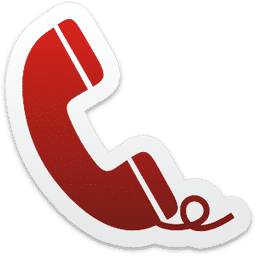 We provide services in whole GTA including Mississauga, Toronto, Brampton, Vaughan, Burlington, Hamilton, Kitchener, Waterloo, Ajax, Pickering, Scarborough, Concord and Milton. Book Designjet/Plotter Printer Technician Now! Our certified technicians are highly experienced and have been repairing printers for over 20 years. Contact us for Printer Repair Services for all popular makes and models of Photocopiers, Laser printer, color printer and plotters. We offer same day printer services on most printer models and cover all of the GTA including Kitchener and Waterloo Area. The company is dedicated to deliver the best repair solutions for any printer problem with experts and certified technicians from Zebra, HP, Xerox, Canon, Lexmark, Brother, Dell, Epson, Sharp, Panasonic, Fujitsu and Kyocera. The company offers fast and reliable HP Printer Service, Canon Printer Service, Xerox Printer Repair, Okidata Printer Cleaning, Zebra Printer Repair in Toronto, Mississauga, Etobicoke, Brampton, Hamilton, Burlington, Oakville, Scarborough and all major cities in and around the GTA. Contact us for Laser printer repair, Designjet plotter repair, Printer Parts, Onsite printer service, support and repair. 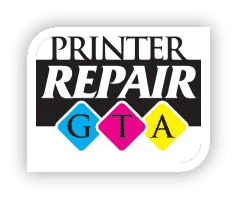 Printer Repair GTA is a division of Synergy IT Solutions Inc. and has established ratings: 5.0/5 based on 6525 votes for providing the best Printer Repair Services in Toronto, Ontario since 1995.